In a dark auditorium two stories below ground in midtown Manhattan, a yawning, high-pitched squeak played once over the speakers. Then again, but drawn out longer, as if looking for another squeak in response. The noises, explained Jake Silverstein, editor-in-chief of The New York Times Magazine, from his podium on stage, were recordings of rats. Rats make these sounds to communicate with one another, and they’re apparently doing so all the time, but we can’t hear them without the help of ultrasonic microphones. On a projection screen behind Silverstein, a photo of a rat poking its furry head out of a sewer transfixed the audience. The magazine normally picks their locations based on how interesting they are to look at, but this year they also chose places based on how they sound. 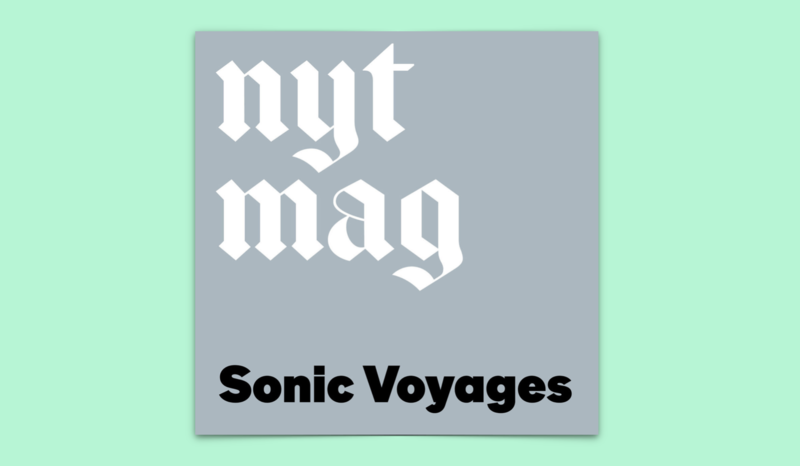 To follow along on these “sonic voyages,” listeners can go online and play a soundtrack of soundscapes that correlate to each of the 11 destinations photographed in the magazine. The rats, understandably, are the soundscape for New York. Over the course of an hour Silverstein and the issue’s audio producer, Kara Oehler, took the audience through sounds that seemed deceptively familiar, but could turn out to be completely foreign. The night started with molten aa (“ah-ha”) lava from the Kilauea volcano that destroyed hundreds of homes in Hawaii this year. On its own, the lava didn’t sound menacing at all. More like a tinkling slush of glass bottles breaking in a trash bag. But with the photographs of flaming orange lava shooting out from ashy rocks and eating up landscapes, the danger became present. Later, an enormous grove of aspen trees in Utah, each stick-thin and dozens of feet tall, made great waves of pitter-patters as wind brushed their leaves together. On the soundtrack, Karine Laval, who photographed the trees, described the rush she gets from hearing that sound and thinking it means rain, but then looking outside and realizing it’s actually a sea of whooshing leaves. Listening to the soundtrack at home doesn’t produce quite the grand effect of experiencing the project in a large theater, and some of my favorite photos, like ones showing Piotr Naskreki’s incredibly intricate laser grid setup for snapping photos of bats, were left out of the print issue. Hopefully they’re online. The New York Times Magazine has previously hosted live events with conversations between editors and writers. But “Listen To The World” was more of a performance in the vain of California Sunday Magazine’s Pop-Up Magazine series, which are staged “magazines” that can only be experienced live in person. While nearly every publication today has at least one podcast, it’s exciting to see others break out into less expected formats. It’s a reminder that as much as podcasts can offer by combining expertly told stories with richly layered audio, like Caliphate or the masterclass Serial, more straightforward listening experiences are still valuable and exciting. Staring at the photos in the magazine and zoning out to a single, isolated sound is a great way to appreciate the individual noises that get lost in our noisy world. It’s meditative, at least until you get to the rats.